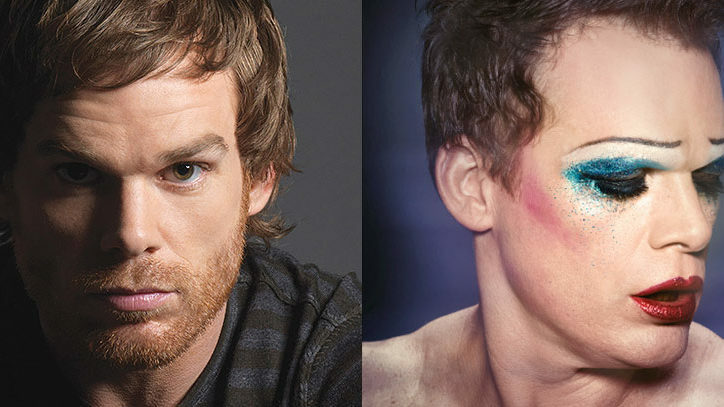 Michael C. Hall is a master at creating characters who hide their emotions, most famously as a repressed funeral director on HBO’s Six Feet Under and the secret serial killer on Showtime’s Dexter. In a total of 12 seasons on the two series, Hall racked up six Emmy nominations and won a Golden Globe as mild-mannered, murderous Dexter Morgan. A native of Raleigh, North Carolina, Hall had a much more conventional upbringing than the character he is stepping into on Broadway. His mom was a college guidance counselor; his dad, who worked for IBM, died when Michael was 11. “I was in a boys’ choir and did choral singing and musicals when I was in high school and college,” he recalls. After graduating from Earlham College in Indiana, Hall earned an MFA from New York University’s graduate acting program. In the two years that followed, he appeared in four Shakespeare productions for the Public Theater, three of them in Central Park. Buy tickets to Hedwig and the Angry Inch.